It is amazing, to me anyways, how much we borrow from Mother Nature. Legos are no different. These small pieces of plastic that can be connected with infinite possibilities have stirred the imagination of children and adults alike. There is a perfect example of Nature’s Lego set within the genomes of microorganisms that degrade plant matter using large protein complexes called cellulosomes (see this post). Clostridium thermocellum is a model organism for this. 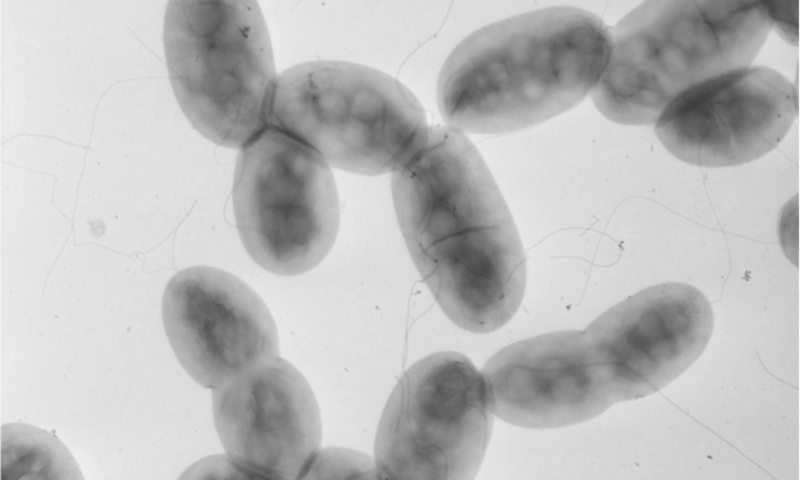 Micrograph image of C. thermocellum showing cellulosomes attached to its cell surface. Image source here. Thanks to its ability to interchange components, both the enzymes to degrade cellulose and the protein scaffold to attach these enzymes, C. thermocellum can optimize degradation any different sources of plant material. Shown in the my illustration above is only one assembly. 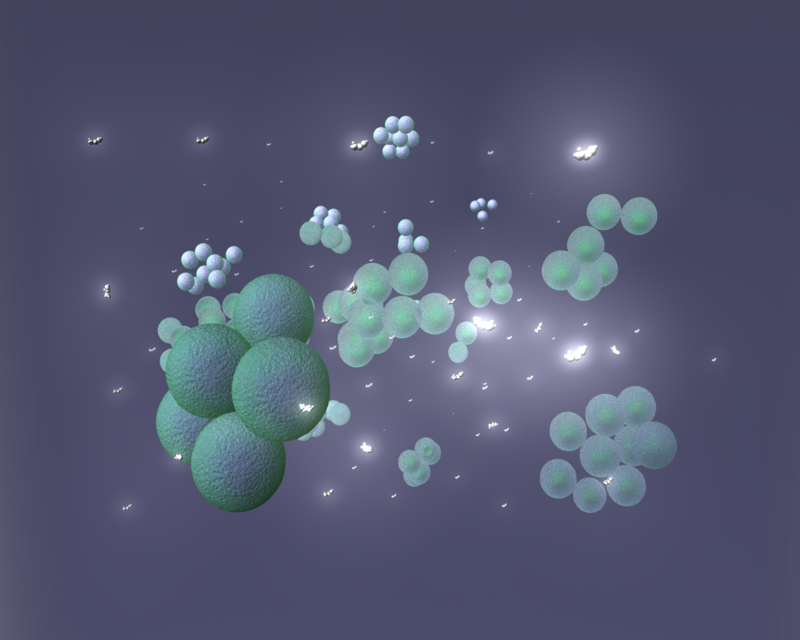 The cellulosomes illustrated are of the actual protein structures (or models if no structure known) of the components. Essentially, there is one scaffold protein, OlpB, which can have up to 7 other scaffold proteins attached. In the case above, I have attached 7 CipA scaffoldins each with 9 cellulose degrading enzymes. So in total, each cellulosome shown has 63 enzymes to beakdown the cellulose polymers shown in brown. Those are actual cellulose polymers based upon the reported structure of cellulose in a crystal lattice. 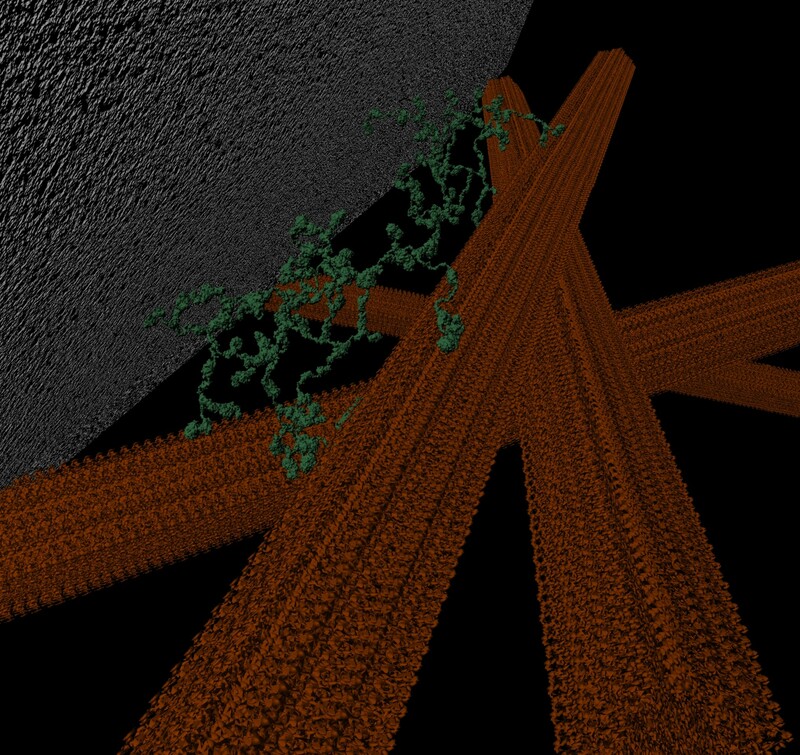 I haven’t shown yet, however, larger cellulosomes or the other approach microorganisms use to break down plant material. Others can use excreted cellulases that release the sugar molecules for the microbe to transport into the cell. This has been demonstrated now in the bacterial “lab rat” organism E. coli. The goal is to find the right strategy to make this process cost effective and scalable for mass production of biofuels. The ultimate coal is consolidated bioprocessing in which a single organism or culture can both degrade the biomass and convert it into a particular biofuel like ethanol or diesel products. I hope to have an animation of this, but that is a more long term goal. Hope you are able to better understand strategies bacteria (and scientists and engineers) use to break down plant cell wall material. Great infographic illustrating the types of learners. Which are you? I have heard of the cellulosome for quite some time. It discribes a extracellular ‘factory’ of enzymes some bacteria (or fungi) are equipped with to degrade the components of the plant cell wall. 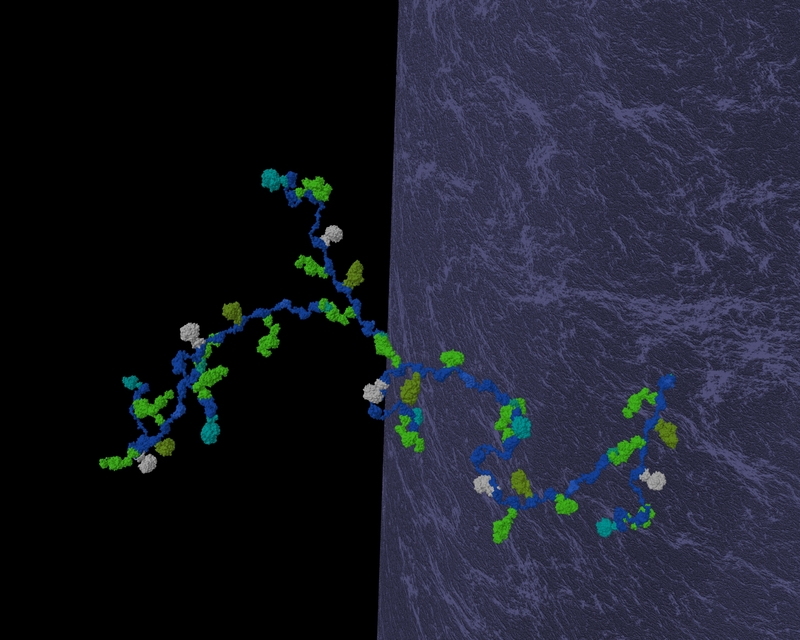 These enzymes are held by a scaffold structure projecting out of the cell. 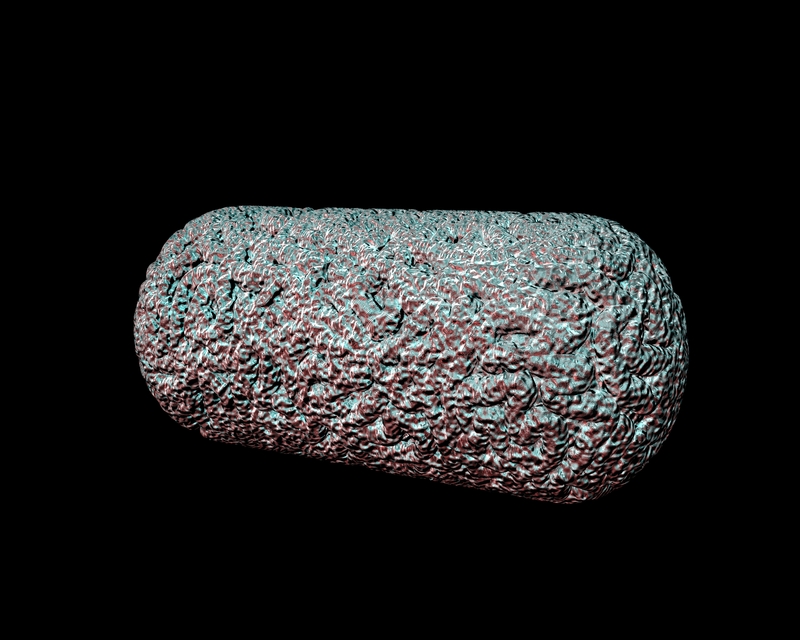 Several bacterial species to date are known to encode some sort of cellulosome. Here, I will focus on a model species, Clostridium thermocellum. I never really thought twice about cellulosomes until recently when researching for an upcoming project. Now, however, I have a great appreciation and respect for this massive, impressive apparatus. The backbone of sorts for the cellulosome is the scaffoldin CipA. CipA is a monstrous protein with many domains, most of which necessary to attach the enzymes needed to break down plant cell walls. 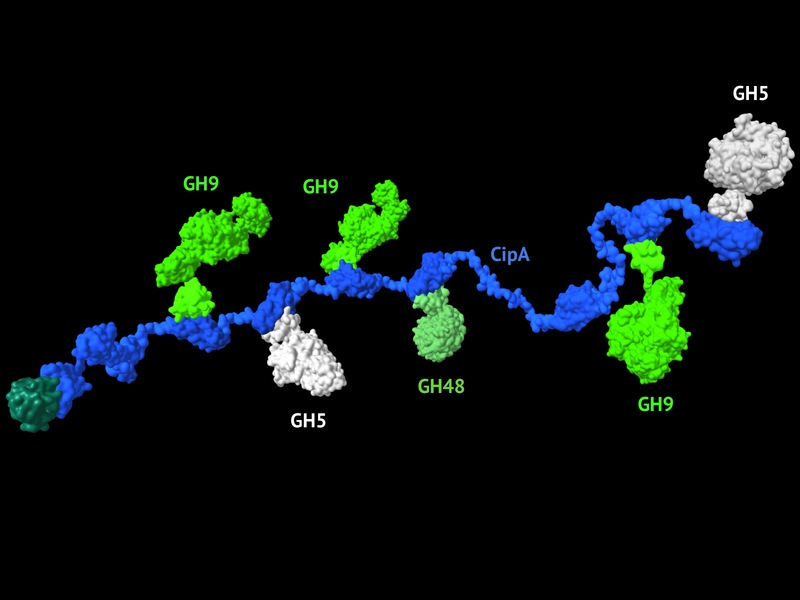 CipA contains 9 cohesins, domains used to securely allow different proteins to interact. The enzymes ( I will describe soon) contain dockerin domains that interact with cohesins. CipA also contains a carbohydrate binding module (CBM) which allows it to directly interact with cell walls. Many of the cohesins are used to attach carbohydrate degrading enzymes, usually of two classes: endoglucanases and exoglucanases. These work in concert to breakdown cellulose and other carbohydrate polymers. Apart from the catalytic portions of these proteins are dockerin, needed to bind to CipA, and other domains like the Ig domain or X domain. 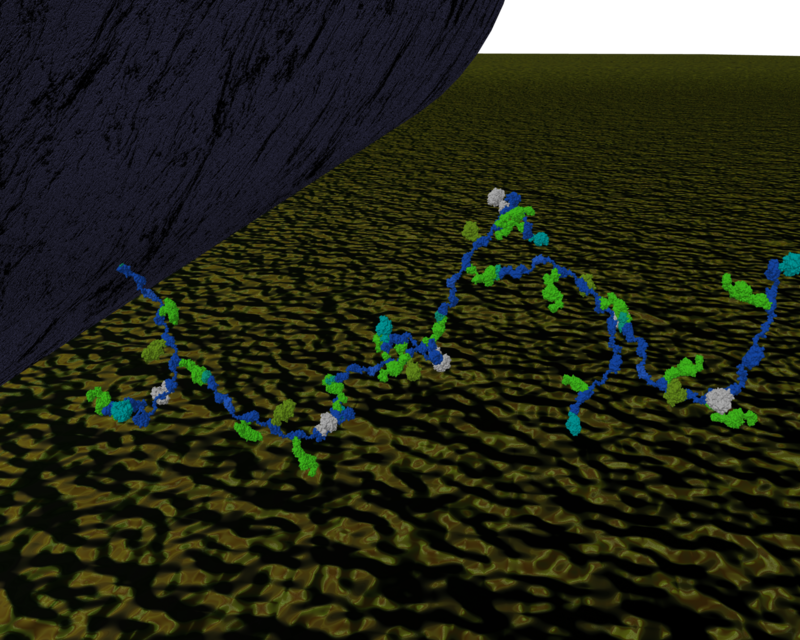 These enzymes ‘fit’ onto the scaffold protein like Legos. This makes them very modular. Now consider other scaffold proteins have a different type of cohesin (cohesin II) that can be used to attach other scaffold proteins thus making polycellulosomes. For example, Cthe_0736 is a scaffold protein with 7 type II cohesins. This means Cthe_0736 can have 6 other scaffold proteins attached to it meaning this polycellulosome could contain up to 63 individual enzymes which is potentially common considering isolated cellulosomes vary in molecular weight considerably. In a later post, I will go into a little detail on how these cellulosomal enzymes actually are able to degrade anhydrous polymers of carbohydrate.